Still think the 80s were 20 years ago? The good news is that with your fading memory, what’s old is new again! So, put your feet up – clad in leg warmers – as you travel back in time with the coolest 80s movie costumes. No flux capacitor necessary. An 80s movie list would be remiss if it did not mention Michael J. Fox at least once. He was completely believable as the typical teen who turned into a basketball whiz wolf. 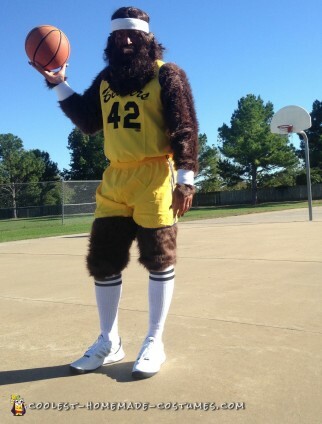 Pull off this look as effortlessly as a wolf swishing a basketball with this rad homemade costume as inspiration. This cult classic has inspired the coolest DIY costumes. 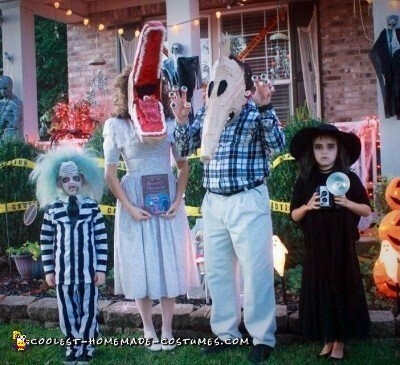 Check out this awesome family costume and don’t forget to say, “Beetlejuice! Beetlejuice! Beetlejuice!”. 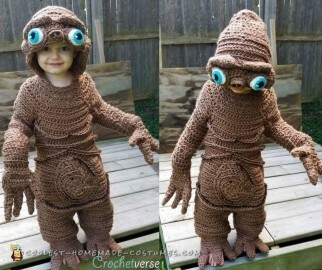 If you spent the 80s chanting “ET, come home!”, you will be blown away by this crocheted homemade costume. Can you believe it only cost $10? And a lot of 80s love, of course. 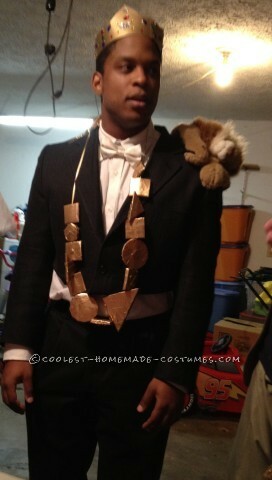 If you can find Zamunda on a map, then you are ready for this super cheap and hilarious Akeem costume. So trade your crown for a mop and check out this DIY costume tutorial for your best 80s movie costume. McFly! When a love for 80s movie costumes penetrate into the next generation, you know you’re doing a stellar parenting job. Make sure to check out the hilariously costumed toddler Biff in this cool family costume. 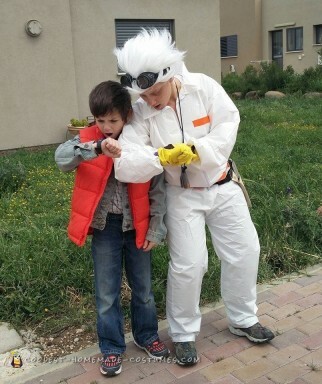 Then fire up your Delorean to create your best Halloween costume since 1985. Wonder no more how Cyborg poop. The only thing you can’t do in this DIY costume, is actually go to the bathroom! 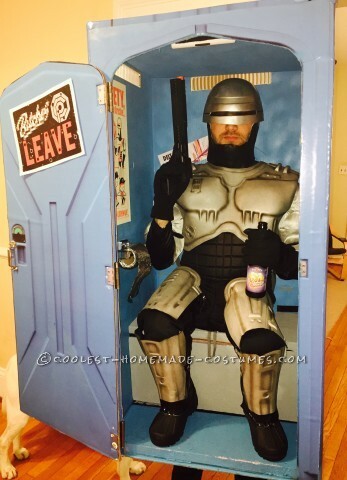 Read the hilarious write up on this awesome Robocop Porta-Potty costume. 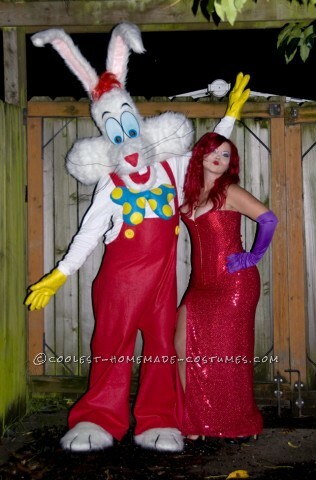 Rock a red dress as the sexiest cartoon character to ever fall in love with a rabbit. 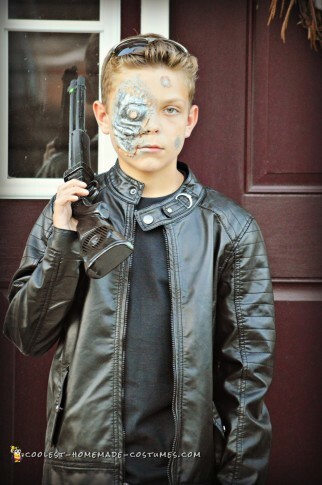 Take a look at the awesome DIY costume tutorial here for your next Halloween costume. 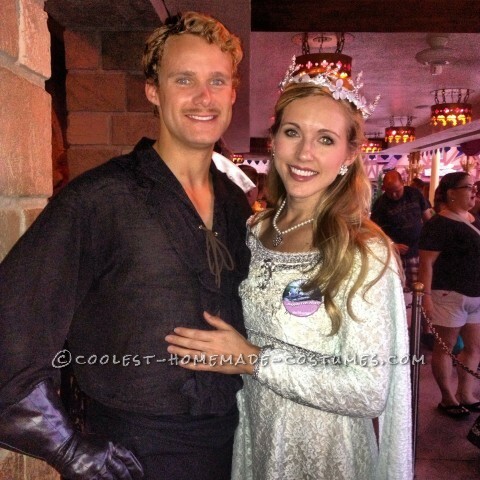 Another dreamy couple costume is the fearless Westley and his Princess Buttercup from “The Princess Bride”. They may not help you survive the fire swamp, but these homemade costumes are much better than R.O.U.S costumes (we don’t even think they exist). You fed Gizmo after midnight and now he turned into a gremlin! This is actual two of the coolest 80s movie costumes in one. Check out more photos and the awesome video of this incredible DIY costume here. 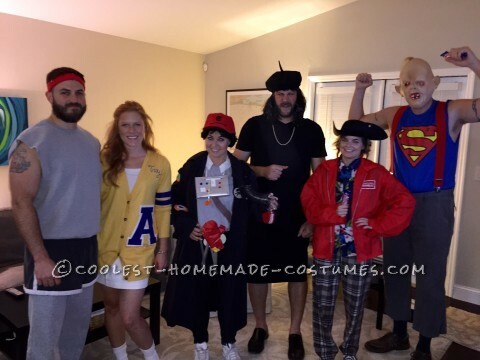 “Hey, you guuuys!” If this group costume doesn’t make you feel warm and fuzzy inside, you are definitely not a child of the 80s. It’s not easy to chose a Star Wars homemade costume out of the mountain of options. 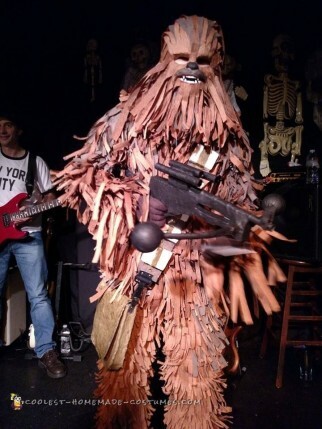 However, this contest-winning Chewy costume stood out as one DIY costume to try this year. 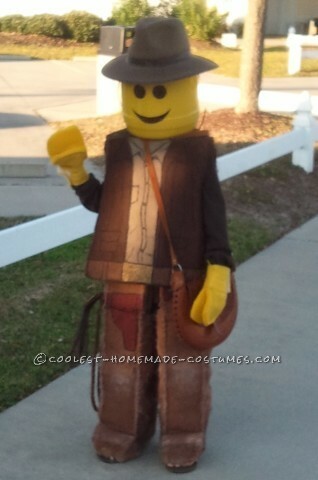 Why be a regular Indy when you can be a LEGO Indy? 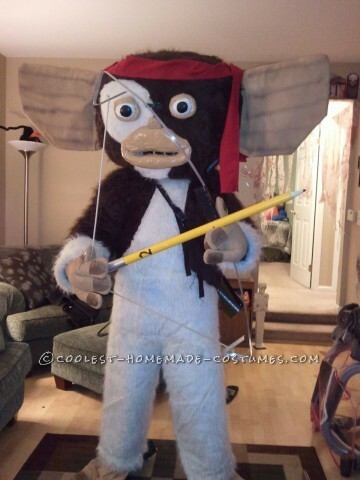 Check out how this cool DIY costume was made here. “Here’s Johnny!” The 80s also brought along some scary horror flicks which may or may not still give us nightmares. 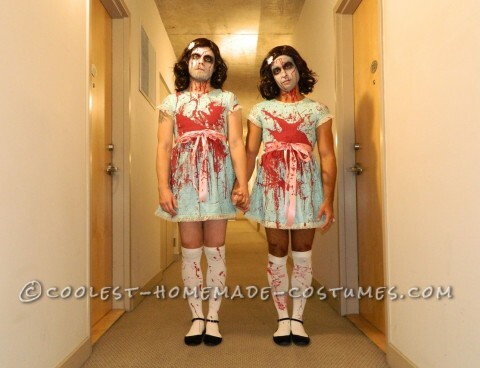 Read here to see how two grown men make these cool DIY costumes for Halloween. Taking scary movies to another level, Poltergeist crashed into our homes and we could never sleep again. 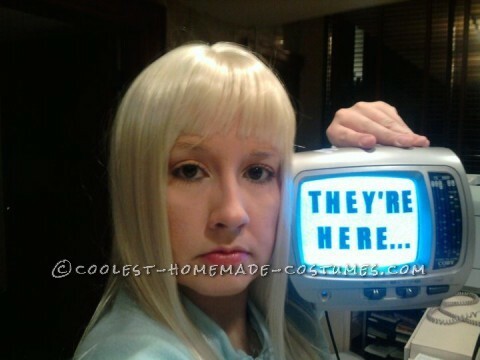 This homemade costume is an inexpensive one to try this Halloween. 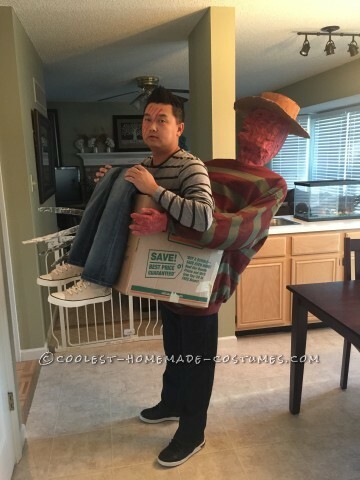 Yet another Halloween costume inspired by an 80s horror movie, is this cool Freddy Krueger’s Victim Illusion Costume. Because what would a Freddy Krueger costume be without a victim?! Before he became the spokesperson for Scientology, Tom Cruise flew into our hearts as the aviator sunglasses-wearing Maverick. 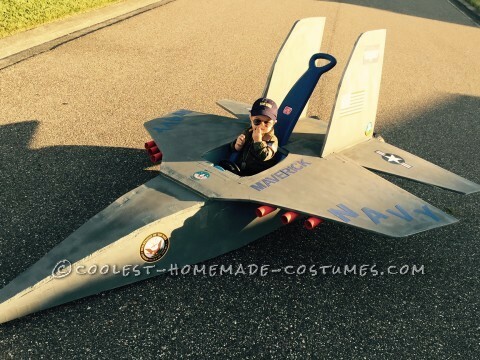 Get homemade costume inspiration here from this adorable Top Gun costume. Who better to dress up as a misunderstood, gentle soul than an innocent dog. 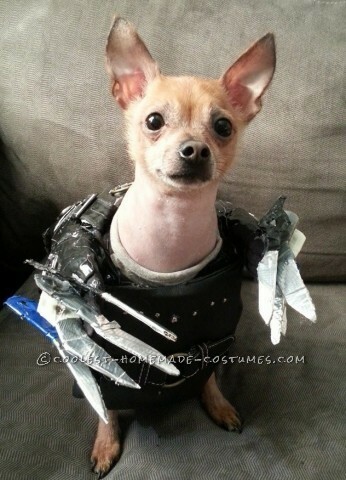 Take a look at this Edward Scissorhands inspired costume for the best 80s movie costumes for your dog. 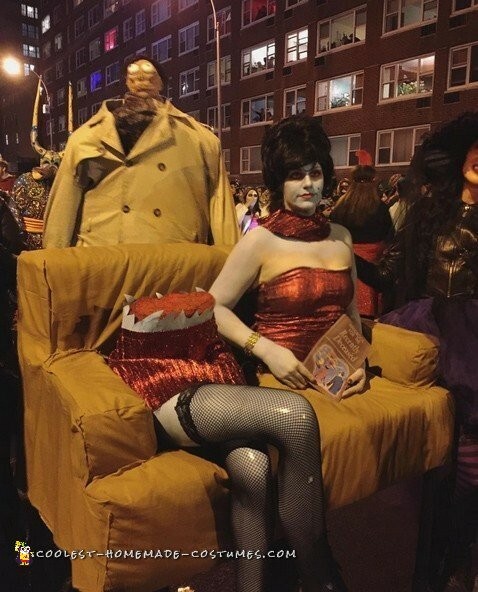 We know we already included a Beetlejuice costume, but this magician’s assistant illusion costume is just too awesome. Separate yourself from the standard fans by proving yourself a true Beetlejuice connoisseur with this epic homemade costume. John Hughes left an indelible mark on everyone who went through an awkward phase in the 80s. We loved Molly Ringwald in “Sixteen Candles” but we loved Joan Crawford’s clumsy water fountain-drinker even more. 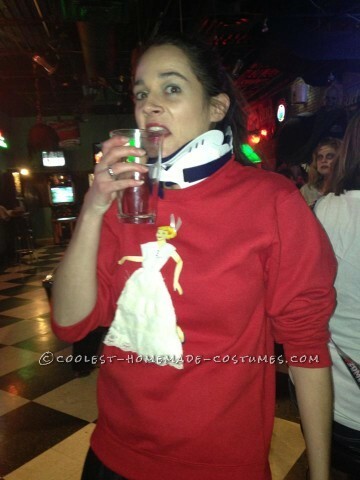 This DIY costume is everything. Would you have believed that the Terminator would become the Governor of California? Take a look at this extremely awesome costume of Ahrnold’s famous character. And finally, “Ghosterbusters” was such an iconic movie, it’s already been remade! The 80s haven’t been over for that long, have they? 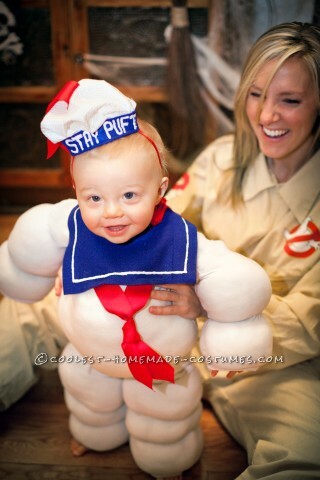 In any case, this is one adorable homemade costume for a baby. Did your favorite 80s movies costumes make our list? If not, it’s time to create your own DIY costume. 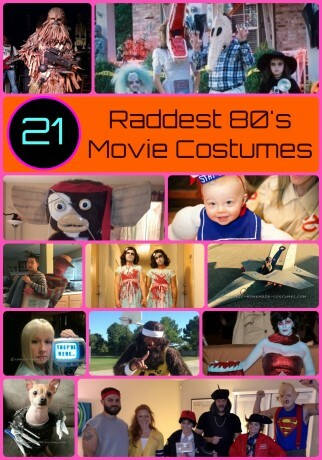 Then, share it with us here to inspire 80s movie costumes for the next generation!